I asked a similar question in the new acquisitions thread, but figured I'd do a new topic and get some additional opinions. All my fellow vintage gear fans, what do you plan to do in 2024 and beyond, when the USGA groove rule fully applies to amateurs and states the old equipment we love is ilegal and can no longer be used to post handicaps? As a classic overthinker, I'm constantly worrying about what I'll do when that time comes. Will I feel the need to give up vintage gear to stay within the rules, or will I Iose the ability to keep a handicap and know I'm playing by the rules? My only hope is that the USGA uses their predetermined 2020 evaluation period to decide the groove rule was unnecessary and reverse course. Otherwise, I'll need to make some tough decisions. I don't plan to do anything. If someone questions my equipment in a competition I'll ask them to prove that they're non-complying. If the onus is officially on me to do that then I'll say that I can't prove it and leave them to make a decision. If they DQ me then so be it. If I end up without an official playing handicap then, again, so be it, I'll generate my own handicap using available software and just play with sensible people. To be honest though, I don't foresee an issue here, nobody will be bothered by some eccentrics playing ancient gear. The only way I could see a problem is if someone tries to make use of old clubs by deliberately optimising a set for most advantage, even to the extent of sharpening grooves etc. But that would be a blind alley as such clubs would still be far inferior in terms of distance and forgiveness of the latest "conforming" clubs. Also, in my experience vintage golfers aren't trophy hunters, we're all in it for the love of the game and of classic clubs. These are UK centric comments which may have some resonance elsewhere. First, the BGCS has just announced it's revised Hickory Handicap criteria which are to be based on the new general handicap system about to come into force, largely indistinguishable from the US version. In 6 years it is quite possible that a Classic Club forum Handicap will be able to function similarly independantly. 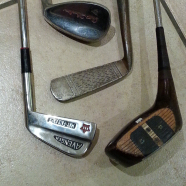 clubs (maybe broken down by vintage, hickory etc). What I will do is nothing, other than continuing to play my clubs. I don't particularly care what the USGA says regarding grooves, I find it to be the second dumbest move they've made, behind only the abject cluelessness of the anchored putting rule. Now, a general comment... square grooves only came into being in the mid-1980s. Anything prior to that point in time will have v grooves, and almost certainly be conforming to the new rule, unless the grooves have been altered, or the club regrooved. I would say one playing such an unaltered club should be able to play such sticks with a clear conscience. Yes, we’re only talking about...what maybe, twenty years or so? This will be a complete nonissue on the local level where I’ve played in hundreds of events, city championships and the like and no one has ever asked about anything regarding equipment. If you are one of the handful of golfers that is a serious USGA competitor, well you’ll have all the latest gear anyway so...nothing to see here. Now this may be complicated for some. The reason many of our classic clubs are non conforming is the fact they have not been submitted for testing. If they are NOT on the conforming list then they are deemed non conforming by default I guess. I have always contended and always will that clubs say for example any of my Macs or any Wilsons etc were conforming and approved by the USGA on the date of manufacture. Like I have said before I am going to play what clubs I want to USGA and R&A be dammed!!!! Exactly. I’m showing up at the course with my bag, that’s what I’m gaming. If you want to wager, you accept what’s in my bag and I yours and we play. Non of this non-conforming b.s. Play what you got, and if you lose, don’t cry about what the other guys got in his bag. I bought Apex ’99’s because they are soon to be vintage, ****, and groove-legal. But I needed a new set anyway for all my golfing and decided those were the ones because they straddle the line of almost vintage but still perfectly suitable for modern play. Now as far as true vintage, in my humble opinion, if a player with his M69 twisted sister face (thanks stu!) and rocketyballz irons with the latest and greatest loses to a fellow with MT Colokroms, Eye-O-Matics, an Exploder, Sure-out and a Bullseye, I don’g think grooves were the problem. James you nailed it on all accounts. Yep 99 Hogan Apex appear on the conforming list simply because someone submitted a set for testing and they were legal and went on the conforming list. As far as amateur handicap golf they can keep it. When I got married the first time I had came back from Florida. My friend was a member at a Club in Charlotte. I went ahead and applied and was reinstated to Am Status. We both kept honest legit handicaps. Played in a few handicap tournaments. Everytime we played we got screwed by handicap cheats. Got screwed bad on a team event right here at the beach. It was a team best ball. we shot a legitimate 67 ( - 5) in the flight round. We had played the early round so we skipped off had some lunch and played a quick round at another course. Went back over there mid afternoon and found out we got blowed out of the water by quite a few 15 to 20 handicap teams. I mean man there were some 58s and 59s and this was no scramble. We did protest but to no avail. At the time both he and myself were hovering around scratch or so honestly. We ended up saying **** the event after we tried to make some straight up side bets for money and had no takers. We had our room paid for anyhow so we played the next 2 days at different courses. It is funny how I lost my AM status the second time--- Actually it is legit but sorta childish---- About 6 months after that we played in a big Scramble Calcutta with 2 other guys. It was bring your own team straight up play. There were a lot of big time gamblers and players in that one and it was big money. We had backers even though our team sold bottom tier. We played in 8 somes so there was no cheating. We ended up winning the darn thing and out team won I think 50K no joke. I ended up that fall being backed for a team in the big shootout in Vegas. The team ( same one) ended up placing 5th in the money and I do not know how much side money we won. This was the 1 million dollar shootout. Like I said we had a backer who is a multi millionaire that likes to gamble. I think our team won like 150 k there. Anyhow about 6 months later I got a letter from the USGA asking had I participated and taken prize money in those events? I wrote them back and told them honestly yes. I received another letter quick and I mean quick stating my amateur status had been forfeited. I asked my old man about that and he said that someone somewhere had told on me because none of the other guys on my team got a letter or anything. **** it I ended up going back to the minis anyhow. I do not like to get beat but have no problem with it if I play bad or get outplayed but to get cheated by the pencil before the first ball is struck **** that. But yeah now I do not play any comps or big money matches and do not really care. Well Am-status is all f’d up too. Only in golf is winning a little money enough to make you a ”professional”. I hold a few positions in the market, does that make me a professional day trader? If I defend a speeding ticket successfully, does that make me a professional lawyer? But hey you missed the cut at the Mayflower Cup Open and forgot to fill out the am-waiver pre-tourney. Golf is now your profession as far as the blue blazers are concerned! I get that its hard to regulate, and where do you draw the line? I just think the current ”no money, bad bad golfer!” Is outdated and another thing that annoys me with them. The only thing left is for the turf research section to **** me off. I really appreciate the idea and mission of the USGA; I just feel they go about it in the worst ways sometimes. I might write a sob story to the RandA saying how in the competitions for people with disabilities such as Special Olympics which are run using the rules of golf, most of the people in my area that I know and play in these events won't be able to as they have sets from garage sales, swapmeets, charity shops and the like. These sets very rarely have any clubs post 2010 let alone a set of irons and wedges, so are only a few of us allowed to play because elite players were deemed to have spun the ball too much? Hopefully sense will be seen and at the very least regular club golfers can use 25 year old irons and wedges if they want. Yes there is a solution and in the mainstream of WRX you will get some flack--- A committee or staff at a club can create a "local rule" Several clubs here did it over the anchored putter ban for league play. Our area has a lot of retirees and they play leagues etc. A lot of the guys were going to quit the game all together over the anchor ban---- The clubs rightfully so decided this would affect their bottom line so they voted to disregard the ban. In the case you cited the Special Olympics could have their Competition Committee stipulate that the older equipment is legal for play. Besides I am sure some of the SO players have to have clubs modified to meet their needs which is entirely legal under USGA rules. I can tell you something about that and it is pure hypocrisy. About 10 years ago a friend of mine won a full Callaway set staff bag and all in a tournament of real estate people he lost his am status. If you win one of those 1 Mil hole in one contests you lose your Am status---- Now one year a lady here during the World AM Handicap tournament had a HIO and won a condo valued at 350k--- Guess what? she did not lose her AM status . She played in it the next year. So tell me WTF??? If you read the rules of Am status it is sorta crazy--- For example there is supposedly no violation of say a few friends playing for a few bucks but------ it does not state a dollar amount----- Now it gets real stipulated about Calcutta Auctions and the like---- I know I darn near lost my AM status in High School--- There was a bunch of us that were running a Calcutta on school golf matches with side bets and a skins game. Someone told on us and when the Athletic Association investigated they found out darn near everyone of us were involved including some players from high class families. LOL it got brushed under the rug rather quickly---- I know for a fact 3 of the players ( and I ain't telling names) ended up briefly playing the PGA Tour--- And those 3 guys were in it as bad as the rest of us. I will admit it was a direct violation of USGA rules and the AAA rules at the time but there was no big money involved. I think some had a knee jerk reaction because about 6 of us our old men were professional golf hustlers and bookies. I'm going to have to disagree with you there, NRJ. I think the groove rule is the dumbest rule they've made, followed by the anchored putting rule, simply because the groove rule affects pretty much every golfer. Can't really disagree too much, Catchy. It's six of one and a half dozen of the other. One thing the both examples have in common is that the technology that got banned had already been around for at over 20 years. I remember seeing broom handle putters being used the late Eighties (and I wouldn't be surprised if some eccentric Victorian bloke had experimented with them back in 1887; what goes around comes around). In other words, the powers that be let the technology get established, let it become a norm...and then banned it. When the anchored putting ban came thru, a friend posted on another forum about seeing a player anchoring his putter in the Open Championship. In the late 60s. Suddenly now it's a bad thing? Yeah, I don't buy it. In your experience, what’s the greatest payoff to stake ratio you’ve seen in betting? Are these bets generally 1:1? (My idea of a classic bet; 2 guys playing straight stroke play of say $100 vs $100, I’m just not sure how calcuttas and the like work.) I just feel like, in general, pro tourneys like the US open pay $1.5Mil against a $150 or so entry fee, a 10,000:1 payoff. In the simple bet above, each player risks as much as he could gain. I know it gets complicated with backers and hustlers and different wager pools and so on, and I don’t know if it’s like pool where there is more money in big-time matches than sanctioned tournaments, but it seems like in betting land the amount of skin one has in the game is a lot closer to the potential payoff than in tournaments. It’s a tricky thing to regulate. I'll play with whatever clubs I like that day. 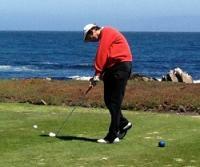 I gave up competitive golf about 40 years ago after I got married and work was taking up lots of time. Didn't have the time anymore to keep my game in shape for USGA competitions so I played in Best Ball tournaments with friends for a few years. 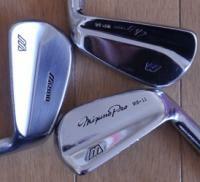 When I play now I usually play as a single and can use my persimmon woods and my Hogan or Staff irons from the 1960's. I have fun with those clubs and still shoot in the mid-70's. I will take out my "newest" clubs sometimes. A 905R and MP 32's. My scores are about the same as with the older clubs. I grew up playing those older clubs and feel comfortable with them. 2024 won't have any effect on what clubs I'll use. You basically did what I did about 10 years ago now---- I hardly practice anymore--- If you see me on the range hitting balls I am usually dialing in a club or set of clubs I found on the scrap pile at work---- When I play it is usually on a whim as to what equipment I use that day--- Good example Sunday after church I was on the range with a set of ( gasp) Eye 2s I found the other week. I had bent them up to my specs ( LOL who says you can not bend up a set of Eye2s?) They hit pretty well but not as good as the set of KZG CBs with 5.5 Rifle shafts I traded for the other day. I may not play Saturday but if I do I will decide on Saturday morning what sticks I play It could be anything from my 57 Mac Diamondbacks , VIPS , Muirfields ( 3 sets) or my 54 Hogan Precisions. Heck I may play the eye2s. Like you 2024 will have absolutely no effect on what I play. 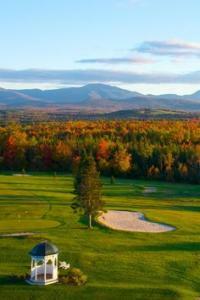 I play what I want to play and I could give two hoots and 3 hot damns less about the USGA , The R&A or the PGA. I agree 110% I have said all along that the USGA was " in bed" with all the manufacturers except Ping but now that Karsten passed they got his son John to go to the courts and have the injunction making Ping wedges legal dropped. Yep it is all about the mighty dollar.